The best entertainment for nothing at all. Everybody likes getting something for free. Why not get your movies for free too? It’s a bit disingenuous when people casually name all the movies you can get for “free” on Netflix and Amazon Prime, mostly because you have to fork over the $10/month and $99/year subscriptions, respectively. Believe me, that ain’t free. If you’re a law-abiding citizen out there who likes to enjoy the motion picture medium without resorting to hinky torrents and illegal streams, we’ve got you covered. The internet does have corners that are showing free movies legally, right now. At worst, it takes an email address to set up a quickie account, sit back, and enjoy some legit commercial-free entertainment. There’s nothing like Herzog. Home video company Shout Factory put out the ultimate Werner Herzog collection, spanning the German director’s best work, but that cost way too much for this list (which is to say, more than nothing). Instead, you can just watch some of the weirdo director’s best movies on Shout Factory’s in-house streaming site. The best part is that they’re — you guessed it — absolutely free. There’s Aguirre, the Wrath of God, Heart of Glass, Woyzeck, Stroszek, and more. But the highlight here is his 1982 film about a crazed man attempting to build an opera house in the Peruvian jungle. It’s weird and wonderful, just like all of his other movies. Watch it here. The only good bug is a dead bug, and basically the only good movie is one that doesn’t cost anything. Yes, we’re being freeloaders here, but we wouldn’t have it any other way. Director Paul Verhoeven’s CGI-laden send up of militarization and patriotism was misunderstood as fascistic when it was released in 1997, and people still can’t seem to notice that it’s a pointed satire these days either. Decide for yourself above without having to buy or rent it here. From the high-brow to the low-, it’s all available for nothing online. The title of this 1984 schlockfest stands for “Cannibalistic Humanoid Underground Dwellers,” and it’s about just that. Sewer dwelling mutants run wild on a grimy 1980s New York City and only John Heard (the dad from Home Alone) and Daniel Stern (Marv from Home Alone) can stop them. Speaking of independent cinema and the Criterion Collection, here’s legendary director John Cassavetes’ underappreciated 1984 film Love Streams. Cassavetes is the grandfather of American independent films, and this movie condenses all of his themes of familial strife and the fragility of humanity into one blazing, 141-minute movie. It marks the last time he would team up with his wife, actress Gena Rowlands, before his death in 1989. Again, it’s also available on a super-duper Criterion special edition, or it’s available up above for a goose egg. Dennis Hopper’s 1969 road movie defined the counterculture for America, and it did it on two wheels. It also helped foster the New Hollywood independent cinema movement that brought about big names like Martin Scorsese and Francis Ford Coppola. It was also the last time that Steppenwolf’s “Born to be Wild” played without irony onscreen. You could buy it in a super expensive box-set from the Criterion Collection, or you could just watch it here. This movie may only be 17 short minutes, but its influence goes back decades. Shot outside a Judas Priest concert in Maryland in 1986, Heavy Metal Parking Lot is the precursor to the kinds of insider content that has made Vice a cultural behemoth. Too bad John Heyn and Jeff Krulik, the guys who made this lo-fi cult classic, beat them to it. Watch it here. This Dave Chappelle documentary from 10 years ago is a curveball in the filmography of director Michel Gondry. Known for quirky but surreal DIY dramas, Gondry gave us this hip-hop-tinged doc right after Eternal Sunshine of the Spotless Mind. Jokes from Chappelle; tunes by Mos Def, Common, the Roots, Erykah Badu, and Kanye West; and Gondry’s signature scrappy cinematography are all worth more than the zero-dollar price tag. Watch and listen over here. Two movies enter, one movie leaves. We love The Road Warrior, and while its outsized plot and scope basically makes it Waterworld before Waterworld, the third installment in the Mad Max series is still a fascinating artifact of post-apocalyptic cinema. Now you can check out Mel Gibson’s gigantic hair for free. Mad Max: Fury Road is our darkhorse pick for Best Picture at the Academy Awards this year. 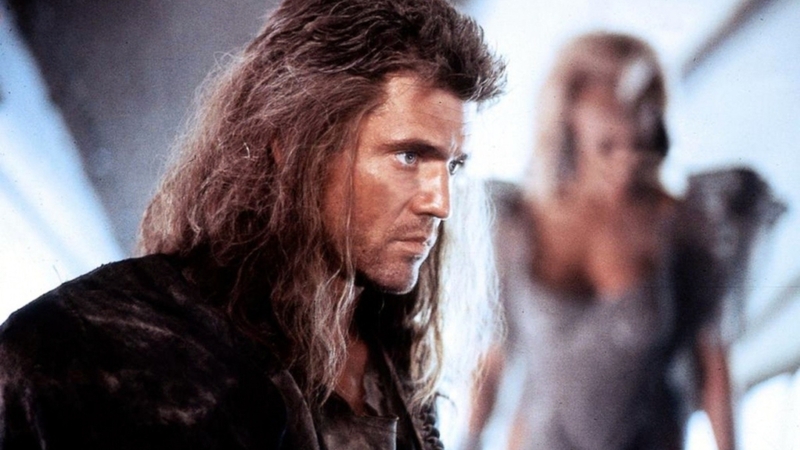 It’s a great standalone actioner, but it came after a beloved trilogy of Mad Max movies starring Mel Gibson earned their standing as downright classics. The Road Warrior, the series’ second installment, is probably the best, and the most obvious precedent for Fury Road’s specific vehicular mayhem. Director Neill Blomkamp’s debut feature is still his best. Born out of the ashes of a failed bigscreen Halo adaptation, District 9’s South African grittiness and social justice themes are a perfect distillation of the director’s style. Its half found footage, half straight narrative frame tells the tale of Wikus van de Merwe, a low-level bureaucrat sent to remove alien refugees living on earth in contemporary Johannesburg. Before long, he becomes infected with an alien fluid, and begins to turn into one of the outsiders. The movie was nominated for Best Picture when it was released in 2009, and now you can watch it for free here.